NEW images of £15 million plans to develop the Forth Bridge into one of Scotland’s major tourist attractions have been released ahead of a public consultation into the plans. The public is being actively encouraged to become involved in taking the bold idea from the drawing board to the finished attraction. Network Rail plans to install a state-of-the-art visitor centre at the base of the bridge’s northern tower featuring a lift to the top offering breathtaking views from a platform 110 metres above the Firth of Forth. A second centre will also be opened in South Queensferry and act as a base for guided walks to the top of the bridge’s south tower. However, rail bosses wish to be guided by locals on what they want from each site, whether they would visit them and whether they feel the designs are sympathetic to the bridge, which was recently shortlisted for World Heritage Status. Each of the centres beneath the iconic red spans and cantilevers is also to be opened up for weddings, exhibitions, concerts and conferences. Network Rail is aiming for at least some of the facilities to be open by 2015. David Dickson, Network Rail acting route managing director for Scotland, said: “We’re currently assessing the early feasibility study and developing a detailed business plan for delivery of these proposals. “The market research study, launched today, will give us more detailed understanding of the potential market for these visitor plans and we’re keen to hear from as many people as possible, whether you’re excited about visiting the bridge or completely petrified by the prospect. discussions with local communities and relevant organisations and interest groups. 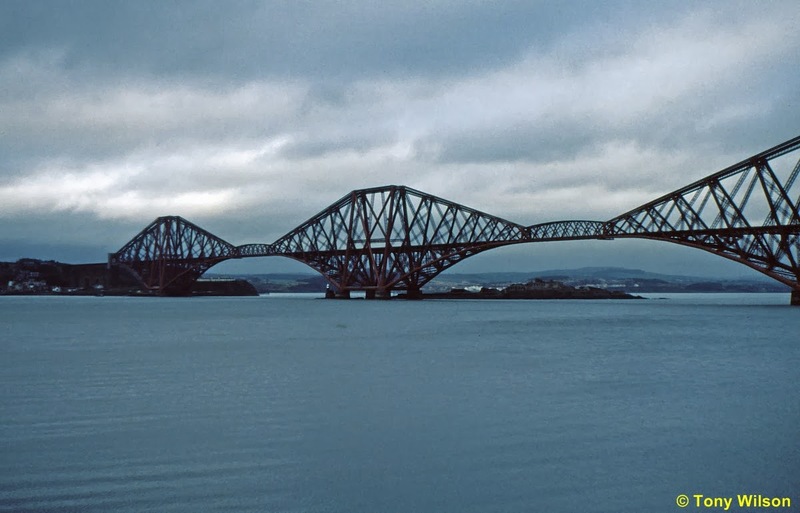 It is hoped the plans could bring hundreds of thousands of visitors to the Forth Bridge each year, providing a major economic boost for South Queensferry and Edinburgh. The newly released images, which show how the visitor reception centre at South Queensferry and the North Queensferry visitor centre could look, have been released to support the launch of detailed market research into the plans. The centre would also offer education and exhibition facilities alongside a cafe and tourist shop. It would be connected by a step-free ramp to two panoramic elevators on the eastern side of the bridge providing access to a viewing platform at the top of the bridge. Meanwhile, the South Queensferry proposals envisage a visitor reception centre, just a short walk from Dalmeny station, from where guided bridge walks for groups of up to 15 people begin. Earlier this month a bid, backed by both Westminster and Holyrood governments, was submitted to establish the iconic bridge as a Unesco World Heritage Site alongside the likes of Egypt’s pyramids, the Taj Mahal in India and the Great Wall of China. If successful, the bridge will become an official tourist attraction within the next 18 months – it is the only site chosen from an 11-strong shortlist across the UK. Among the other bids were the Lake District, Charles Darwin’s “landscape laboratory” in London, and the Chatham Dockyard in Kent. To find out more information about the proposals and to complete the market research survey, visit www.forthbridgeexperience.com.